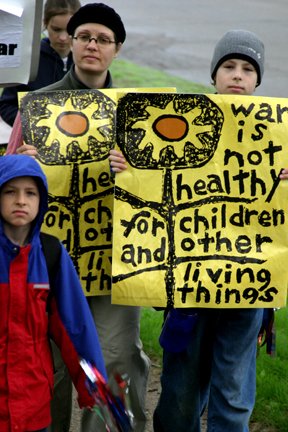 Our children deserve a peaceful future. 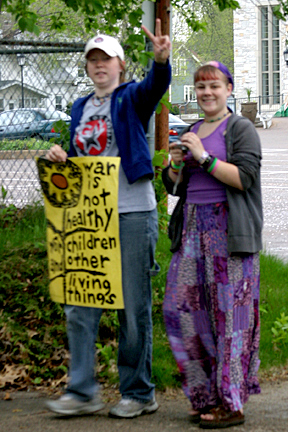 A coalition of Twin Cities area peace organizations and churches sponsored a Mother's Day Walk for Peace in Minneapolis the day before Mother's Day. Over 275 gathered at the Lyndale Park Peace Garden and walked to Judson Memorial Baptist Church. Cool, partly cloudy and light rain at times.